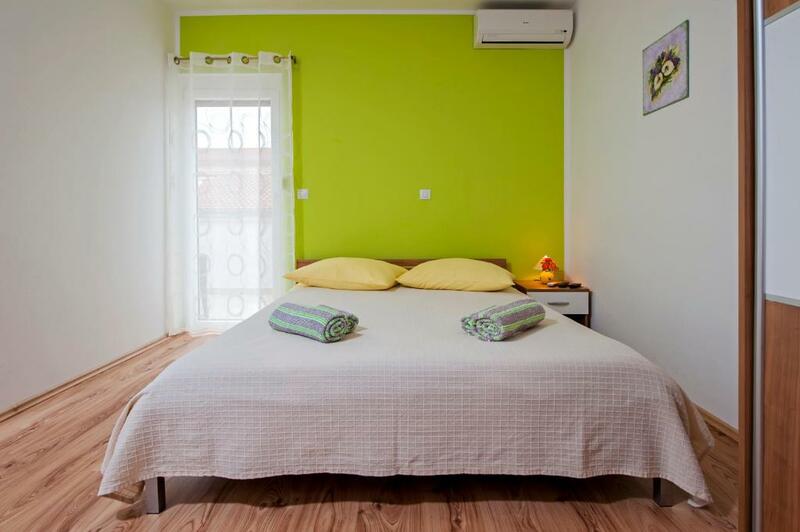 The apartment was really good, comfortable and clean, everything was there what we needed. The sea was really close and we always had parking spot for our car. The owner was also nice and helpful. We were satisfied and we would be happy to return here anytime. Brilliant location, host was brilliant and on hand - even brought in the towels etc when a thunder storm was forecast. Massive balcony, clean towels brought in and car parking available. The hosts were very nice and the apartment looks great. Would stay there again. Host was very nice and the info was helpful and correct. Rovinj is a wonderful town and worth coming back to. 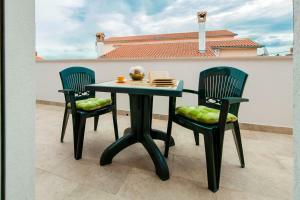 The property is recently renovated and looks very good. Our room was spacious, clean and well equipped. We also had a very big terrace. The host was very helpful. Disponibilità e cortesia dei proprietari. Sempre presenti e pronti a fornire indicazioni. Alloggio a pochi passi dal centro e ben curato. 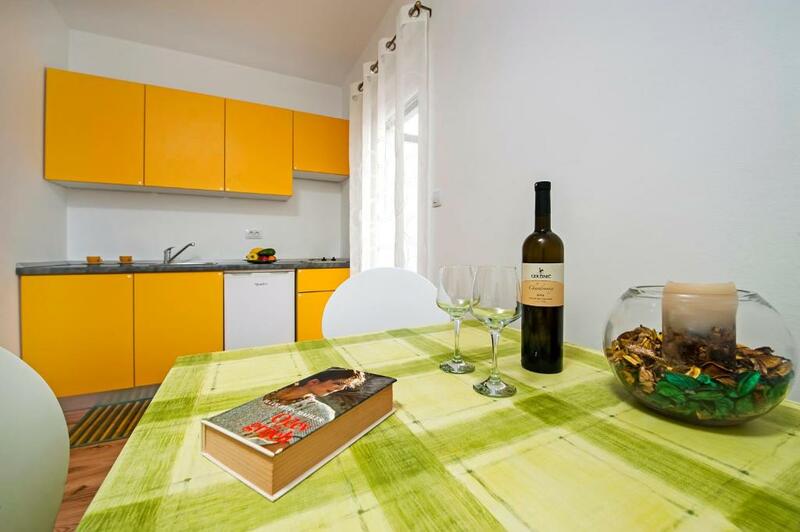 Lock in a great price for Apartments Roko – rated 9.3 by recent guests! 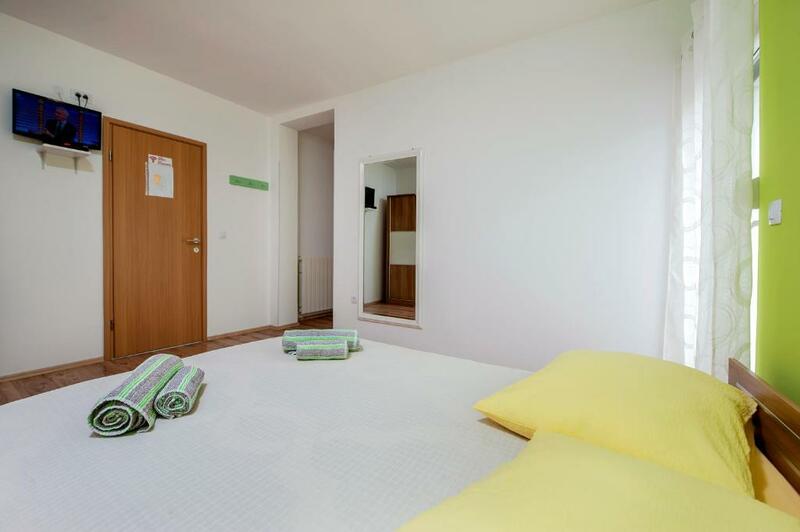 Apartments Roko This rating is a reflection of how the property compares to the industry standard when it comes to price, facilities and services available. It's based on a self-evaluation by the property. Use this rating to help choose your stay! One of our best sellers in Rovinj! 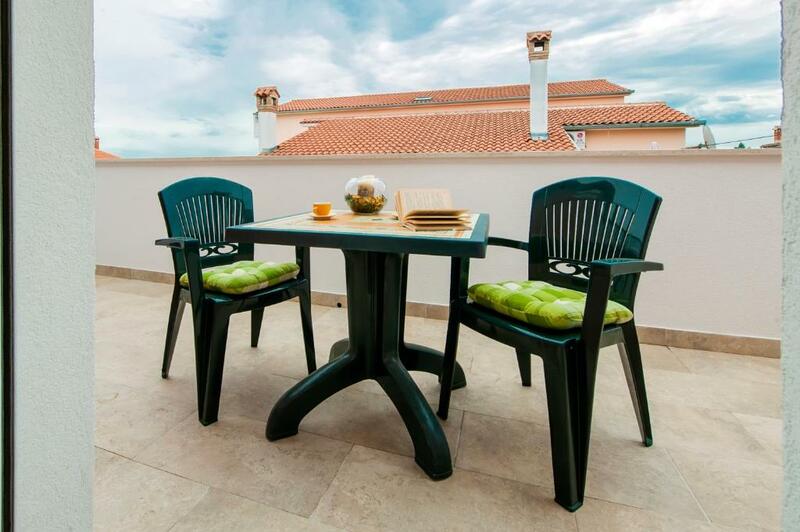 Providing barbecue facilities and a garden, as well as a terrace, Apartments Roko is located in Rovinj, not far from Rovinj Marina and Rovinj Aquarium. Free WiFi is available. 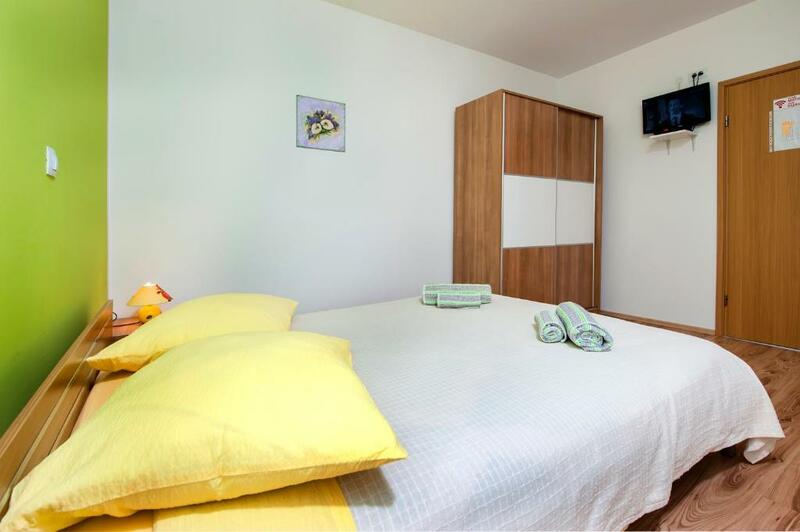 Each unit features with a balcony offering garden views, a satellite flat-screen TV, a seating area, a well-fitted kitchen and a private bathroom with shower, free toiletries and a hair dryer. An oven, a fridge and stovetop are also featured, as well as a coffee machine. Punta Corrente Park is 1.2 miles from Apartments Roko, while Cathedral of St. Euphemia in Rovinj is 1.5 miles away. Pula Airport is 24 miles from the property. 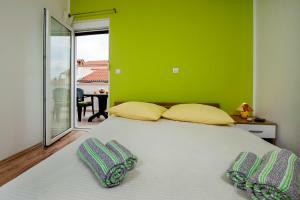 뀐 Located in the top-rated area in Rovinj, this property has an excellent location score of 9.2! 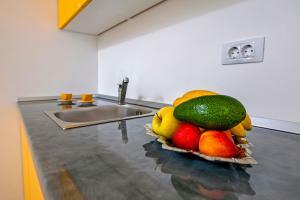 When would you like to stay at Apartments Roko? This apartment has a balcony, tea/coffee maker and air conditioning. This studio features a barbecue, patio and seating area. This studio has a patio, dining area and stovetop. House Rules Apartments Roko takes special requests – add in the next step! An extra recliner on the balcony would have been great and a freezer compartment. Would have been good to have information leaflets about trips, beaches etc. Jedino nas je zasmetao najlon na krevetu ispod plahte. Hard to say ... maybe a better wifi connection.